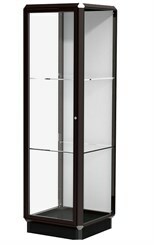 Show it off in high style in a Prominence Series display case. The multi-faceted aluminum framing and hexagon-shaped corners link to form Prominence's distinctive contemporary design. Its uncommon artistry will speak volumes about your good taste. Durable as well as attractive, Prominence offers such premium features as tempered glass, built-in locks, and steel shelving hardware. 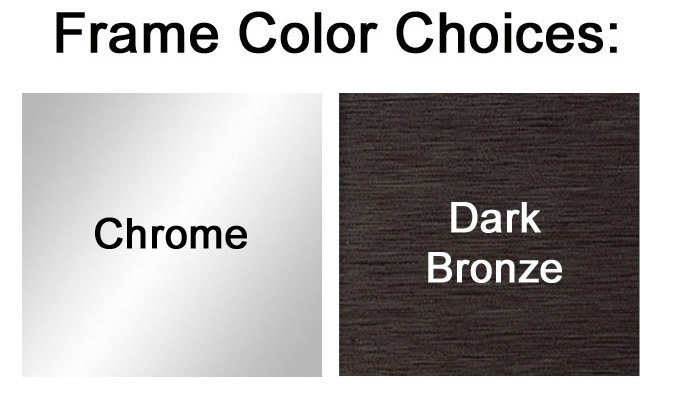 Backgrounds are a tackable plaque material (nylon loop material with velcro tape to attach to plaques) or clear glass. Inside the Prominence, your proudest achievements and prized items never looked so good. 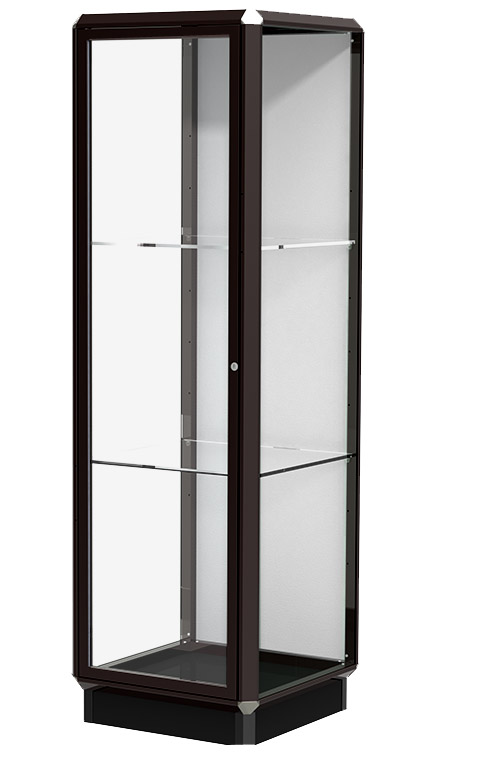 Display Tower includes two adjustable tempered glass shelves. Measures 24"W x 24"D x 78"H overall. Ships fully assembled. Shipping weight 197 lbs. PRICE INCLUDES SHIPPING! (Truck shipment - see Terms & Conditions). Please allow 2-3 weeks for delivery. Same Prominence Tower Display as above but includes two directional spotlights. Measures 24"W x 24"D x 78"H overall. Ships fully assembled. Shipping weight 197 lbs. PRICE INCLUDES SHIPPING!